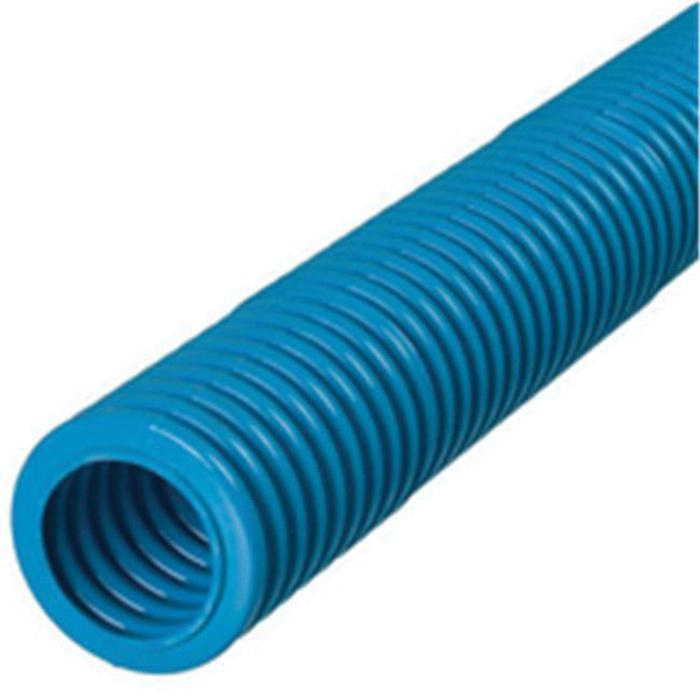 Thomas & Betts Carlon® Flex-Plus® ENT Non-metallic flexible raceway in blue color, features PVC construction for longer endurance. Flexible raceway has trade size of 3/4-Inch. It measures 0.76-Inch ID x 1.05-Inch OD. This raceway offers bend radius of 6-inches. Raceway with lightweight, hand bendable design is free from sharp edges that effectively minimize installation time while saving money. This 100-ft long raceway comes in coil. It finds wide range of applications in schools, classrooms, dormitories, offices, fire alarm systems, solar photovoltaic systems, recreational vehicles, parks, marinas and boatyards. ENT non-metallic flexible raceway is UL listed and RoHS compliant.